Slip on a cardigan sweater and meet your neighbors. 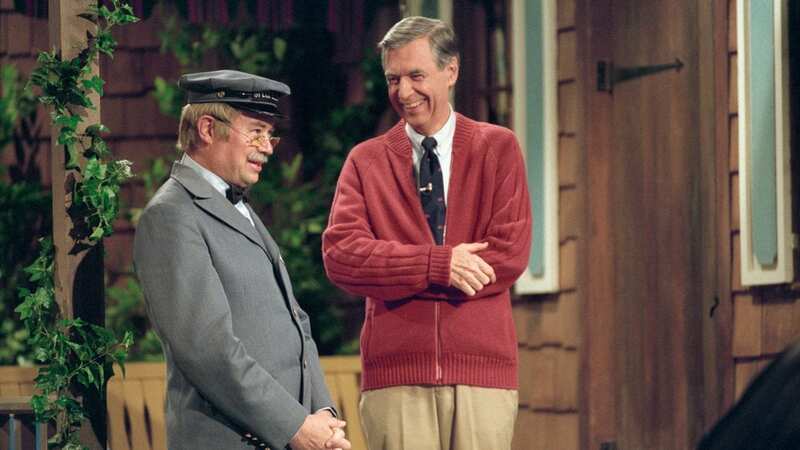 Strange Days Brewing Co. (316 Oak St.) is hosting a watch party from 6:30 to 9 p.m. Saturday for “Won’t You Be My Neighbor?” — the documentary about the life and career of Fred Rogers. Strange Days will debut Hoppy Cardigan, its hop-laden pilsner at the event. Kansas City PBS will be on hand with our Mr. Rogers photo booth, and you’re encouraged to not only don your best sweater, but bring a gently used sweater to donate to Synergy Services. If you do, you’ll get half off your first full pour of beer. Update: Sadly, Strange Days told us that Hoppy Cardigan won’t be ready for the watch party this weekend. Instead, the brewery will have Sunny Delight, a New England-style (think juicy) Double IPA, on tap. Cardigan sweaters are still encouraged. Californos has been reborn as Parker & Vine at Californos (4124 Pennsylvania Ave.). The new restaurant is the brainchild of brothers Austin and Bryant Parker. They’re bringing back live jazz at night and brunch from 9 a.m. to 3 p.m. Saturday and Sunday. The brunch menu includes savory and sweet waffles, fried chicken on a biscuit (a nap is optional) and eggs Benedict. It’s a classic love story. Chef eats fresh pasta. Chef makes fresh pasta. Chef decides to open a modern Italian spot. Chef Michael Smith opened Farina (19 W. 19th St.) earlier this week with a host of hand-made pastas: gnocchi, tagliatelle with a pork ragout and bucatini carbonara (thick spaghetti made with egg and black pepper). The restaurant at 19th and Baltimore is also serving beef carpaccio, grilled octopus, broiled oysters, squid-ink spaghetti, pancetta-wrapped scallops and braised white beans. For its opening week, Farina is open from 5 to 10 p.m today and 5 to 11 p.m. Friday and Saturday. Farina isn’t the only new noodle shop. Aoyama Ramen (14960 W. 119th St., Olathe, Kansas) opened last month. The Japanese noodle eatery serves rice bowls with sukiyaki (thinly sliced beef), pork gyoza (dumplings) and ramen with either a pork bone broth or mushroom and kombu (dried seaweed) broth. Aoyama is open from 11 a.m. to 9:30 p.m. Sunday through Thursday and 11 a.m. to 10 p.m. Friday and Saturday. It’s not often you get to drink beer and do good at the same time, so you’ve got to seize the moment. Boulevard Brewing Co. drops its latest from the Brewhouse One Series, Good L’Oven, at 10 a.m. Sunday in the Tours & Rec Center gift shop. Good L’Oven is an imperial stout homage to coconut pecan pie and is made with shredded coconut and toasted pecans. Boulevard will donate $1 from each bottle sold to Thelma’s Kitchen, the pay-what-you-can cafe run by Reconciliation Services. Independence Square is hosting a Chocolate Walk from 10 a.m. to 1 p.m. Saturday. You can check-in at Be Here Now (205 W. Lexington Ave., Independence, Missouri) to grab a tin and map of the 11 eateries and shops handing out chocolate. There’s also a talk on the history of chocolate from the Jackson County Historical Society in the Truman Courthouse at 11 a.m. Tickets are $10 in advance and $15 on the day of the event (if they are not sold out). Taste Of Brazil (25 E. Third St.) is bringing back the pizza bar. Pizza night is Saturday from 6 to 8:30 p.m. It’s all-you-can-eat pizza ($14.95) with six different kinds of pies (including a dessert pizza) at the Brazilian eatery in the City Market, and they’ll have live music. Servers bring you slices off the menu that’s available for one night only. Whether it’s self-care or caring for others, you’ve got the chance to find something local for a loved one this weekend. Hammerpress (500 Southwest Blvd.) is hosting a Valentine’s Market from noon to 5 p.m. Saturday. Sip on bubbles, grab some artisan chocolate from Portland, Oregon, or ceramic, print or jewelry pieces from Kansas City artists. The Wild Way Coffee (708 E. 19th St.) is hosting Galentine’s Day from 10 a.m. to 3 p.m. Saturday. The pop-up coffee camper, which has created a temporary indoor shop, invited a collection of women-owned businesses to sell everything from pies to quilts to jewelry. This post has been updated to reflect that Strange Days Brewing Co. has adjusted its beer lineup for a watch party this weekend.